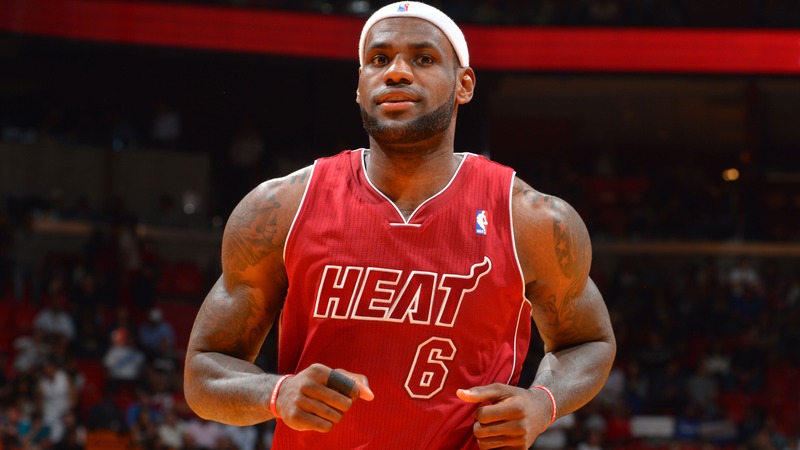 LeBron James almost killed Mario Chalmers last night. OK, that might be a slight exaggeration, but at one point, it certainly looked like LeBron was going to do something to Chalmers when things got heated during a timeout in Miami’s 97-94 win against Indiana. James quickly apologized to Chalmers and then diffused the situation afterward on Twitter, of course. In that same Miami-Indiana game, Paul George pulled off a marvelous acting job. Washington guard Glen Rice had to undergo wrist surgery on Tuesday after aggravating the injury while celebrating the Wizards’ win over the Knicks on Monday. Then, this happened to coach Randy Wittman last night. I have two pairs of EA Sports Carbon By Monster headphones to give away. The first two people to email me (JimmyTraina1@gmail.com) the answer to this question win the headphones. Here’s a look at the year in celebrity news using the Billy Joel classic, "We Didn’t Start the Fire." Just some things you should know. The Big Buzz has an archive page. Bookmark it. It also has a Facebook page. Like it. The Buzzer has a Twitter account. Follow it. I have a Twitter account. Follow it. My fellow Buzzer blogger, Andy Nesbitt also has a Twitter account. Follow it. * This photo of 5-foot-8 Oregon guard Johnathan Loyd guarding 7-foot-6 UC Irvine center Mamadou Ndiaye is one of the best of the year. * Rays third baseman Evan Longoria interviewed the cast of "Anchorman 2." * If you’d like to buy the shoe that Tony Allen wore when he kicked Chris Paul in the face last month, you’re in luck.